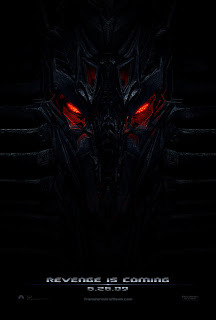 I’m pretty sure the face on the poster is Jetfire, who (possible spoiler warning) appears in the new movie as a Sr-71 Blackbird who was abandoned by the Decepticons, and is ressurected by the Autobots. Could Jetfire be the “Fallen” in the title? So far everything has pointed to the flaming baddy from the Transformers comic books. What do you think? I can not confirm or deny this is Jetfire I got this post of IMDB.com I personally hope it is a new and inmproved Megatron or Galvatron but we will all have to wait and see. IMDB.com also says the trailer for the fallen will be posted Febuary 1st. I do like the idea of jetfire he was a cool autobot and the idea of him being an SR-71 blackbird is awsome if he is even in the movie. It's official now: the first movie trailer of Transformers 2, aka Transformers Revenge of the Fallen will air during the Superbowl 2009, on February 1, 2009! I doubt it will be a full length Transformers 2 movie trailer, most probably a teaser, but hell, this news make my day! I'm going to count the day till the Super Bowl 2009. And I will enjoy every second of this Superbowl trailer of Transformers 2 when it will air!